Found 2 file extension associations related to Lavasoft Ad-Aware and 2 file formats developed specifically for use with Lavasoft Ad-Aware. Lavasoft Ad-Aware Internet Security gives you the power to combat even the most complex forms of malware, protecting you from viruses, spyware, trojans, rootkits, keyloggers, password stealers, and much more. Whether through standalone anti-malware tools or our all-in-one security solution, Ad-Aware´s advanced real-time detection technology and minimal strain on system resources gives you the power to use the Internet how, when and where you want — without the worry. 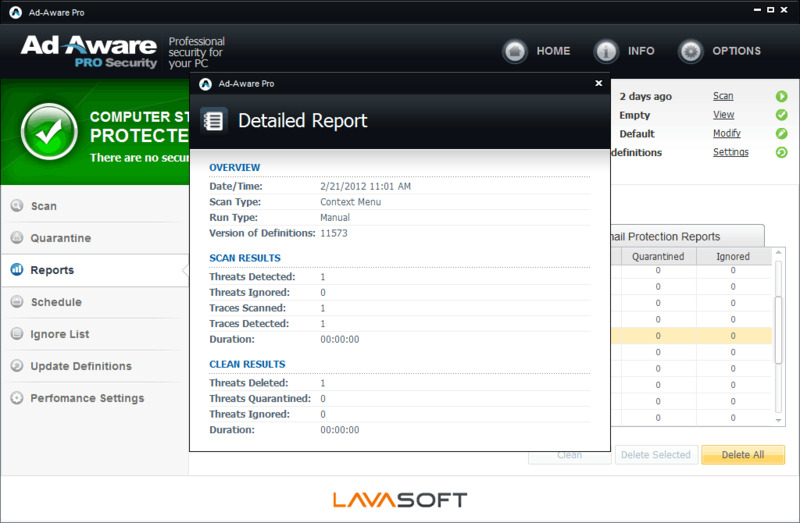 If you need more information please contact the developers of Lavasoft Ad-Aware (Lavasoft), or check out their product website.